VIP Team To Do List is a professional time and task management software for small and midsize business which uses To Do List method to help you get through more work spending less time. It increases your personal and professional productivity drawing much of your attention to the most important tasks which give 80% of successful results. + managing appointments, meetings, events, projects, resources, workflow, etc. VIP Team To Do List is for team leaders and team members. It is especially recommended to project managers, product managers, sales managers, contact managers, resource managers, IT managers, directors, administrators, etc. This software is for you if you believe that successful results depend on your ability to organize yourself and your team. 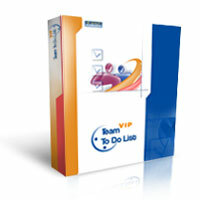 Download a free trial version of VIP Team To Do List - Increase your overall business performance through efficient planning and management of teamwork! 3: RationalPlan Project Viewer for Mac 4.1.